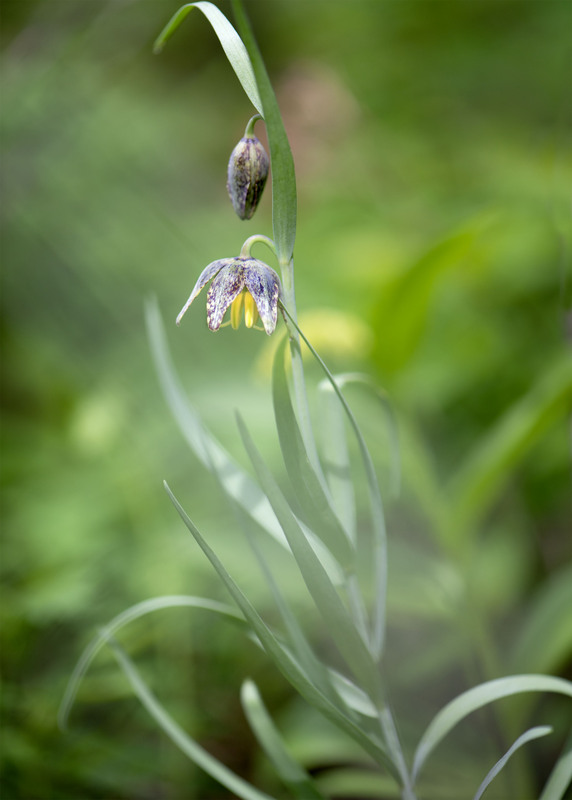 This year we have been lucky to find several of these wonderful Chocolate Lilies blooming on the trails nearby. 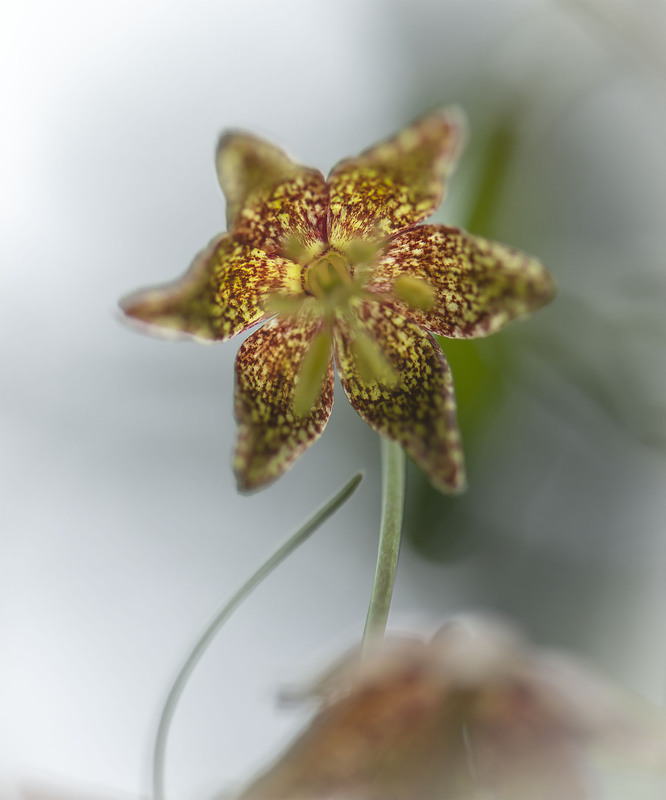 I am a bit up in the air as to the specific species as two reliable websites list the chocolate lily as two species one being Fritillaria affinis var. 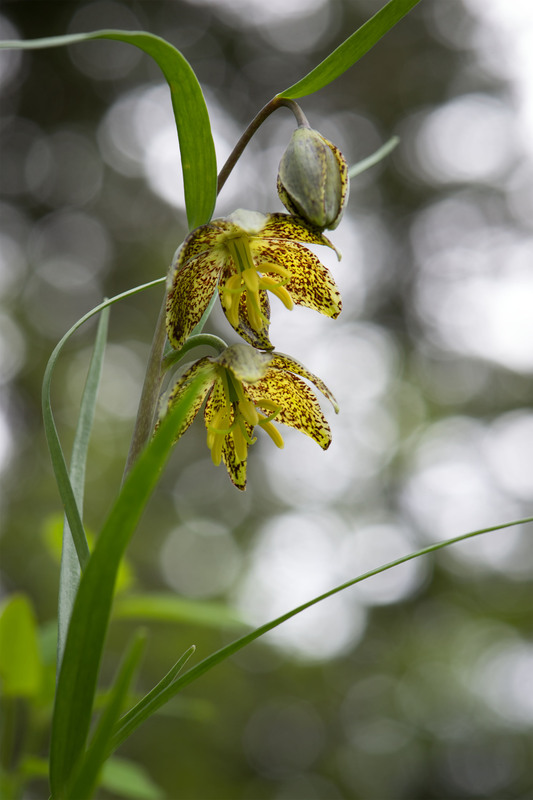 affinis and the other lists the plant as Fritillaria atropurpurea. The plant is fairly inconspicuous and without the flower not very showy at all. 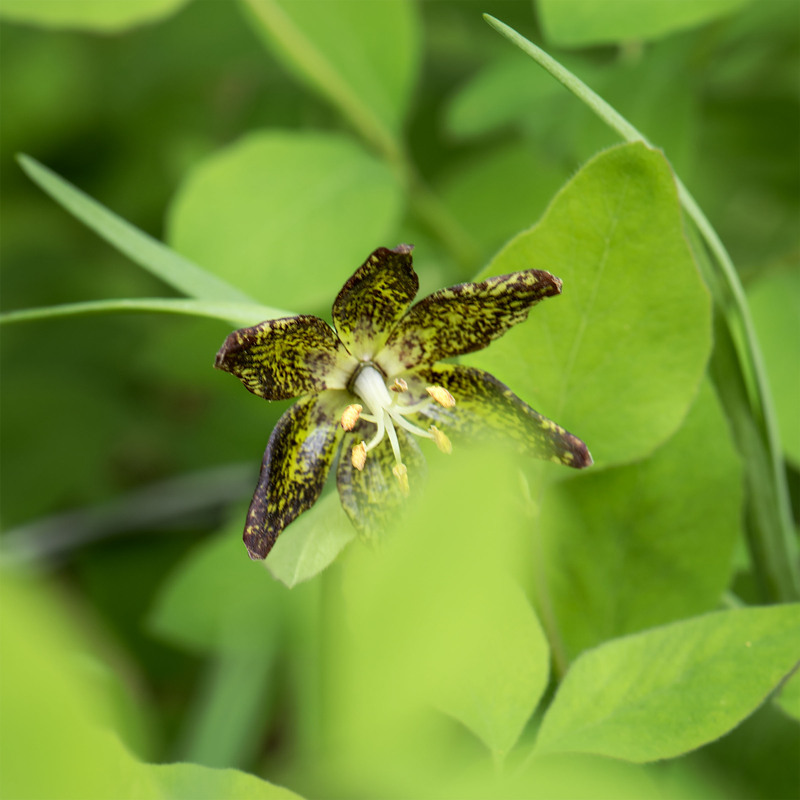 It is a beautiful plant and we were glad to come across it as according to Lady Bird Johnson Wildflower Center database it is one that frequently takes years off from flowering. HI and thanks. We only found this flower this year so it was a first for us as well. A beautiful plant and beautiful pictures. (We don’t have anything like that over here I’m afraid 🙁). Hi, I am sure you have other wonderful flowers to brighten the spring. 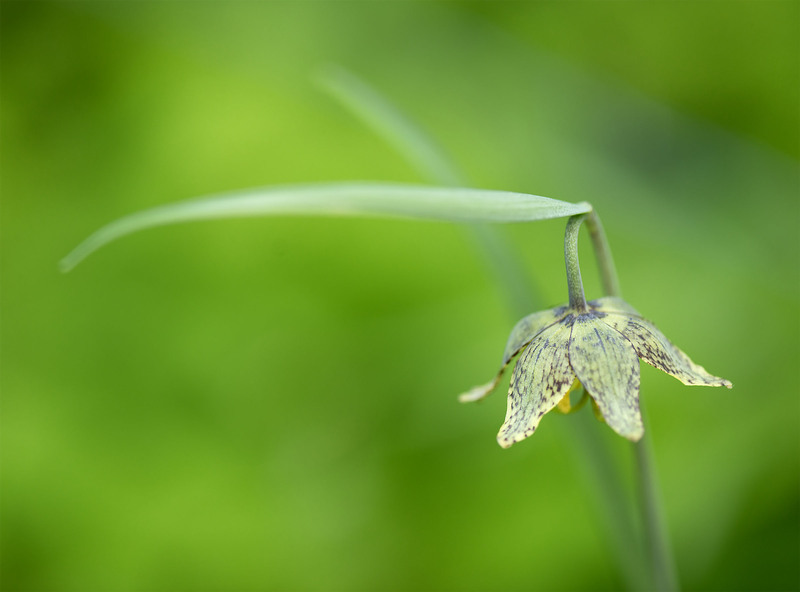 This was our first encounter with this flower and from our reading they might no bloom every year. They’re beautiful – so delicate and graceful. Maybe you have both species? Hi Eliza, it is hard to tell as from our research both leaves are similar and photos showed quite a bit of variability such that our local ones looked like both in photographs. Sounds like it’s a lucky sighting, Mike. What beautiful colors and patterns. Great shots. Thanks Jane, we hope they bloom again next year. They were mostly hidden in the forest and hard to photograph so we felt luck to walk away with a few keepers. They are fine flowers of sure. Now that’s a new one to me. It was for us as well and we are so lucky to have had a year where they were prolific. We agree and it is those unique things keep you coming back for more. Too bad there all bloomed out. Beautiful flowers and shots! They look like they’re dusted with cocoa! For some reason a delicious cocoa dusted treat of any kind sounds good right about now. Hope your doing well and having a great week. It’s very pretty. How did it get its name? Hi Lisa and thanks for the feedback. 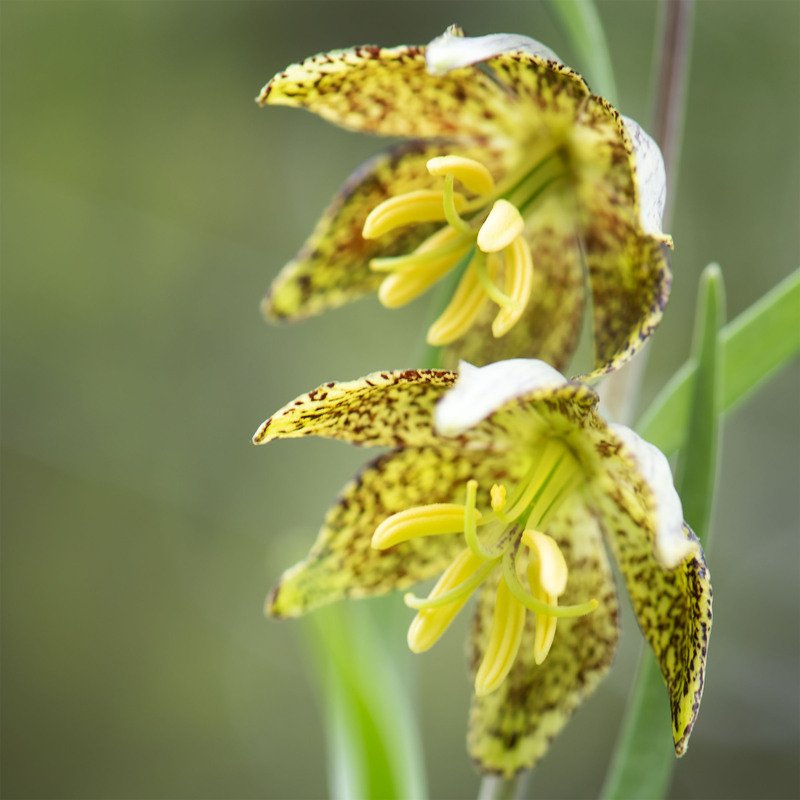 I am not sure how the name Chocolate Lilly came about but if you ever see on you can see a bit of chocolate in the color of the flower. So that is my best guess.